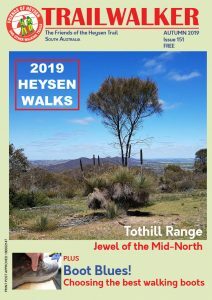 The Heysen Trail has been re-routed just west of Trig Campsite, through the campsite and down into Deep Creek waterfall. 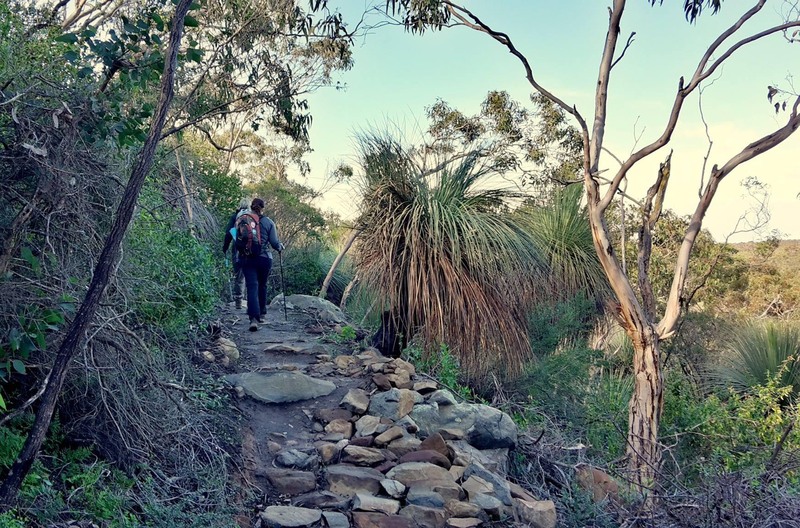 The new trail is a great improvement on the original trail, with a more gentle descent down to the waterfall. 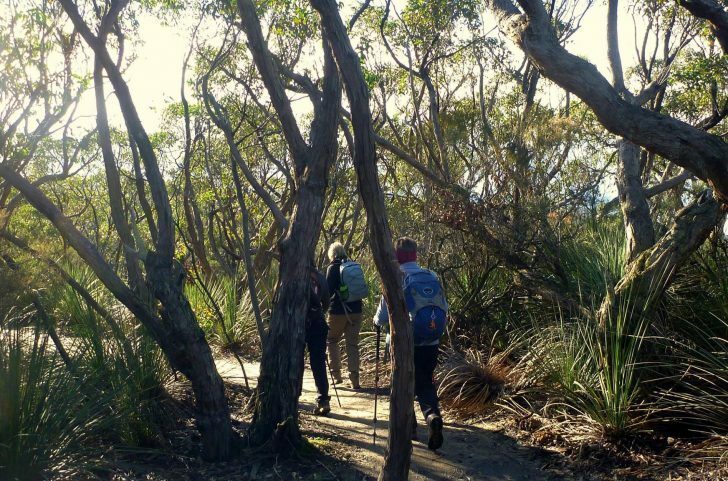 The trail crosses Tent Rock Road at the northern entrance to the campsite, with a new car parking area. 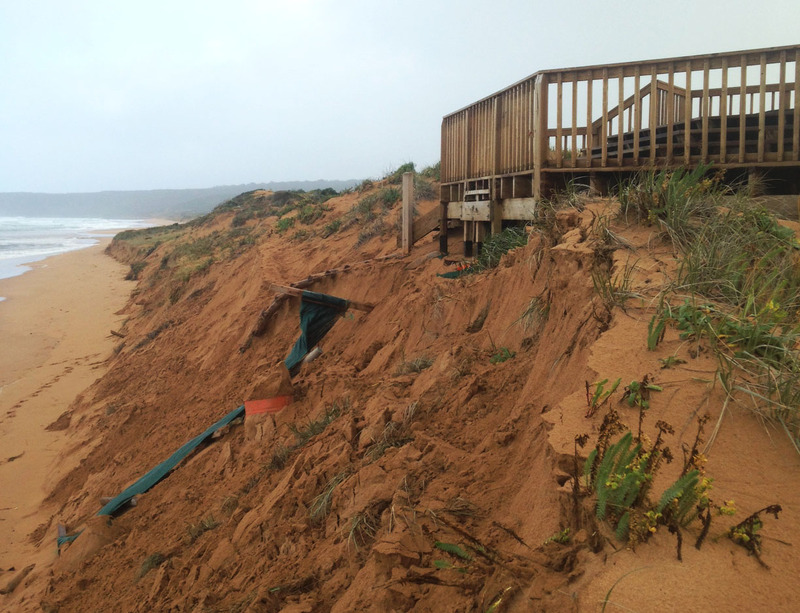 The steps and viewing platform at Waitpinga Beach have been closed due to continued sand erosion. Walkers should find alternative access directly across the sand dunes until the infrastructure has been renewed. DEWNR staff will continue to monitor the sand erosion and structure. We expect alternative arrangements will be put in place, including in the short term a marked route through the sand dunes. 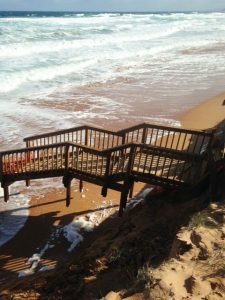 Last August the lower steps were replaced with a dutch sand ladder, but this solution hasn’t worked and has since been removed. The entire structure has now been closed. Prior to approx 2012 there were two separate sets of stair structures, these were removed and replaced with a new single structure, which is the one now affected by erosion. The Heysen Trail has been re-routed near Inman Valley. The trail now passes through farmland rather than beside the main bitumen road. Although the trail now bypasses the town of Inman Valley, the town and the cafe Inman Valley Country Kitchen are only a short walk from the trail. The campsite built in 2011 located on the banks of the Finniss River is not shown on this map sheet edition.